Long time readers may well recall the series of comics published by ‘Planet Jimbot’. Among them was Good Cop Bad Cop- written by Jim Alexander, which won a fair few awards for its first collection, returned for a second bout then all went quiet. I asked around after Jim and was told he’d gone off to write books! Like you do. Fast forward to this morning and what do I find in my inbox but the promo for Jim’s first book- and it is a return to the world of Good Cop Bad Cop so fingers crossed this will be as good as the comics. Good luck with the new venture Jim. On October 1st, Carlos Ezquerra died. His importance to 2000 AD is beyond definition. 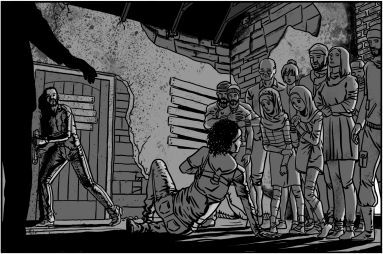 Here we present images and testimony from creators to the pages of Zarjaz & Dogbreath. Many of whom would not be creators if it was not for Carlos. “How to even begin writing this? How to put in words what Carlos Ezquerra meant to me? What he meant to comics? What’s the first thing you think of when someone mentions 2000AD comic? While the name and the concept came from John Wagner and Pat Mills, everything else came from Carlos. Famously, Dredd had been envisioned as a near future gritty cop, but Carlos turned in an initial image with towering super skyscrapers and impossible looping highways. And history was made. Now, you’d think that would be enough. To co-create one iconic British character and to draw it for the best part of 40 years. Not Carlos, though. He and Wagner went on to come up with Strontium Dog – for me the greatest comic character ever created. I could go on talking about Carlos’ art and his contribution to comics. But really, his importance to the history of comics is beyond contestation. I saw someone describe him as the European Jack Kirby. That’s a perfect description. Instead of that, I’d like to highlight Carlos’ relationship with the fans. He was always welcoming. Always warm. Always funny. Always patient. And that patience extended to, for example, nerdy fanboys who published a fanzine when they emailed him with uber-nerdy questions about the minutiae of characters and their weapons and he’d mail them back a brilliant and thoughtful answer within a few minutes. In summary: he was the best. “It is hard to overstate the importance of Carlos Ezquerra’s contribution to comics, and any attempt to overview his work is bound to fail. Many of the most beloved artists trade productivity for quality and their reputation rests on a handful of strips. Others can take an existing strip to new heights, but have never designed a world from the ground up. Most 2000 AD artists have their period, where they burn brightly in the progs, before they are gone to greener pastures. Carlos stands alone as an artist who could turn out pages seemingly at whim, designed the most important character of the comic (and in Strontium Dog, arguably the comics second most important character) and never left. While Spanish artists in the early 70’s could work for British comics from Spain through the agencies, Carlos packed up his bags and came to the source in 1972. Such a bold move was a good indicator of the character of both the man and art we would be treated to for decades to come. It took very little time for Carlos to make a splash, and when head hunted by Pat Mills and John Wagner for Battle, his iconic work on “Rat Pack” and “Major Eazy” made him a natural go-to when 2000 AD was being developed. His futuristic designs for both the character of Judge Dredd and the City he would patrol inspired the editorial to push the story from the near future to the fantastical world we know and love – It is often said that the real star of Dredd is Mega-City One, but would that city have ever become half of what it is without Carlos’ inspirational outré design pushing the strip to greater heights? By the time Strontium Dog came along, no one was doubting the ‘Carlos Method’, and the strip hit the floor running. “Grim flamboyance” was a phrase used in one of his obituaries, and I would struggle to beat that as a perfect summation of his genius –we often talk about how Dredd and Strontium Dog are stories that can be humorous, horrific, down to earth and fantastical, often simultaneously. Was there ever an artist more able to effortlessly match that range? It was Strontium Dog that made me a lifelong fan of 2000 AD. The first strip I read in my first prog was the second part of “Bubo and the Bad Boys”, the infamous scene of the Deputy being roasted by the alien outlaws – That first page was all I needed to know I’d done the right thing switching from Dr Who Monthly! When I started collecting 2000 AD, it was initially only the issues with Strontium Dog that I was after. When I was collecting, I used to have recurring dreams that there were other Strontium Dog strips in comics like Warlord, and I would wake up anxious that there was a story I hadn’t read and disappointed that the story didn’t exist. 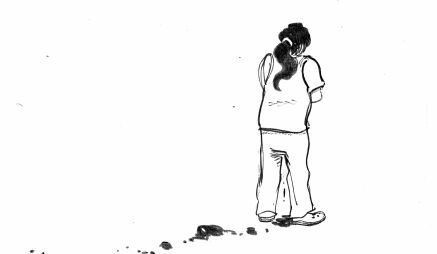 But I would also be exhilarated at the fading images of Carlos’ art as imagined by my overworked mind and reassured that before long I would see the real deal from the man himself. When I heard the news of his passing I was taking a break from painting the Fly’s Eyes Wagner miniature from Warlord Games Strontium Dog game. Earlier that day, I had used this as an excuse to dig out and reread “Journey Into Hell” in the original progs on the pretence of researching the right colours. After a frustrating morning attempting unsuccessfully to do some adulting, there was no better salve from the stupidity of the real world than a quick journey into Ezquerra’s stunning hellscapes. I was listening to the excellent Space Spinner 2000 podcast discussing how brilliant Carlos Ezquerra’s art was on “Stainless Steel Rat For President”. As I sat at my desk, I was surrounded by gronks of various sizes, watched over by the Re-Action Johnny Alpha figure, lined up in front of the complete Agency files. Carlos and John Wagner had been due to attend the Birmingham ICE comic show in September, as well as a special screening of “Dredd” in the evening. Whilst Carlos had to cancel for urgent surgery, things had looked promising – Carlos had posted to his Facebook page suggesting the procedure had been a success. At the screening, John Wagner said that he had an idea for another Strontium Dog story, but first Carlos had to recover from his surgery and before that, they had revived an unused character “Spector”, which would be appearing in the Megazine. It is hard to take in that we will not see those strips – Carlos has been such a part of our lives for so long, that it was easy to take him for granted – dependable, professional, still creating at the top of his game, as indestructible and permanent as the characters he had created. “When I first met Carlos Ezquerra, in Wales of all places, I was living through a pretty dark period and almost didn’t go – but was persuaded that I had to because of the “Supersquirrel Undefeated” get well comic. They say you should never meet your heroes but Carlos, whose art has been part of my life for longer than I can remember, was a twinkling tuft of pure joy. He hugged me, and called me his friend, and drank with me, and we talked, and we laughed, for hours. That afternoon I took a significant step on the road out of my darkness and I shall never forget it. I loved Carlos for his art, which I told him, and I adored him for making me feel so damned special, which I wish, I wish, I wish I’d told him. “I was 8 and all my friends at school had this new comic called 2000 AD. Instantly it was the talk of the playground with its hyper violence and futuristic ideas. I badgered my folks to get it for me. And they did. Soon there was a future lawman called Judge Dredd. I wasn’t instantly taken with him but then The Cursed Earth happened. McMahon and Bolland’s double whammy was seismic for our collective school consciousness. You were either in McMahon’s camp or Bolland’s. The hits didn’t stop Cursed Earth launched immediately into The Day the Law Died. Closely followed by Judge Death then the Judge Child. Within the space of 244 issues, just shy of 5 years we also had Death Lives and then Block Mania to name but a few. By now some of my school chums had given up on the galaxies greatest comic and had moved on. But me and my mate Martin were putting pen to paper with our own spins on Tharg’s mighty heroes and villains. Even my older brother got in on the act (although he much preferred Rom Space knight and Micronauts) adding scripts and his own art. Our styles were definitely heavily biased to either McMahon or Bolland. But then prog 245 happened. 25 weeks of global decimation. Full on action. The cold war writ large across the future. And all skilfully rendered by one man. I’d seen his name in the prog here and there. Stainless Steel Rat was entertaining but Carlos style grabbed me more on Fiends of the Eastern Front. Moody, dark and menacing. And then it was prog 245. Apocalypse War. To say I was blown away was an understatement. Carlos’ clear storytelling made this THE highlight of the weekly prog. Carlos’ lines were sketchy but full of energy. You could feel that furious energy bristling in every image. 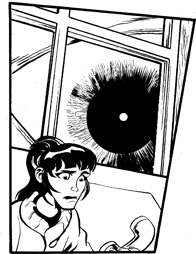 Blocky outlines making key moments jump out of the page and almost punch you in the face. It’s difficult to explain to anyone how just thinking about some of the 1000 plus strips Carlos produced just takes me back to my younger self. The thrill and excitement pouring over those punk images. The endless potential, the untampered imagination that anything was possible. And even the impossible could be made real by Carlos. As well as the utmost admiration I have for Carlos line work it’s his sheer workman like output that I’m in awe of. Carlos was a creative genius and a complete workhorse. I drifted away from comics at some point, well, certainly 2000 AD and my next brush with thrill power was Necropolis. The Dead Man had caught my eye. A bit of a different, slow burn strip for 2000 AD. 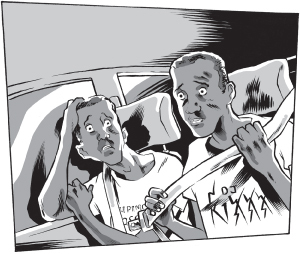 That hoodwinked the readers into the nightmare that was Necropolis. And there he was again, Carlos Ezquerra. The lines more assured. The emotions and expressions more nuanced. The action just MORE. And all rendered in colour from subtle to garish to suit the pace and situations happening. Carlos’ influence was beyond huge. A true legend who will be missed. It’s been said more eloquently by others but thank you KING CARLOS. Available from: The FQP Webshop! I’ve been helping out with letters on a special project recently. 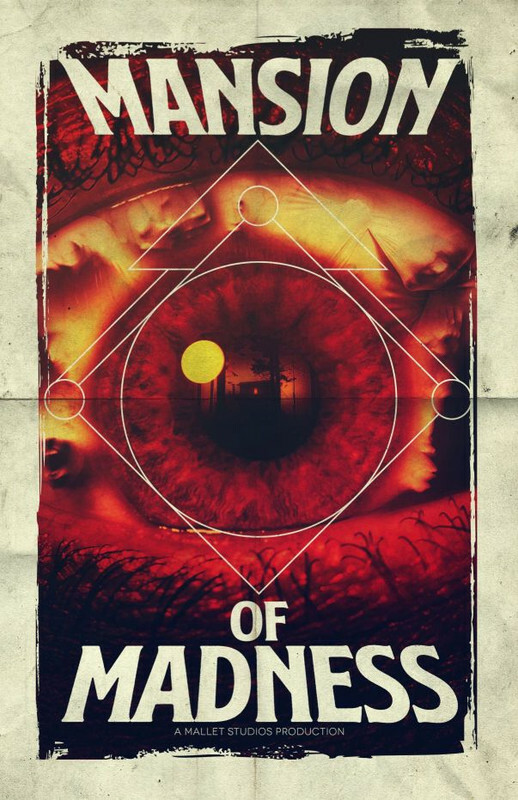 A revival of Mallett Studios flagship title- Mansion of Madness. Lee Robson and Dan Hill have both been hard at work securing the rights to the title and gaining permission to bring this to life. It gives me great pleasure to finally announce that Mallet Productions is making a triumphant return with a brand new edition of Mansion Of Madness! Those of you who are of a certain age will no doubt remember Mallet Studios for their classic movies, the cult television show Mansion Of Madness, and, of course, it’s short lived – but influential – comic series. 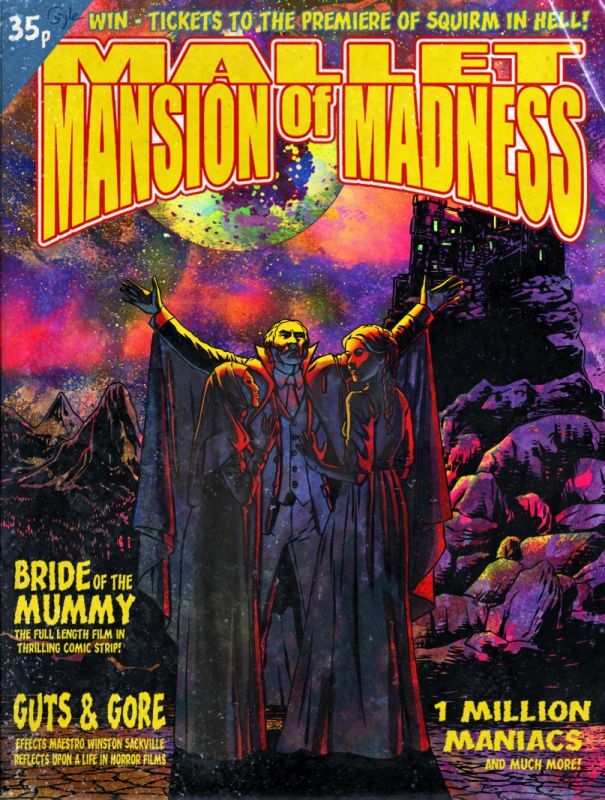 An original Mansion Of Madness promotional poster for the TV series, faithfully restored by Andi Ewington. Founded in 1935 by Jonathan Williams, Mallet Studios (originally Mallet Productions) was a small British film studio based in London that grew significantly over the next four decades to become home to some of the most critically acclaimed films to ever come out of the United Kingdom. Initially concentrating on challenging social dramas, Mallet began to reshape their output in the wake of 1941’s The Girl In The Room, and tapped into a rich vein of psychological horror. Building on the critical and financial success of such classics as 23 Holborn Terrace (1951) and The Picture Of Al McEwan (1953), Mallet eventually began to turn their attention to more mainstream horror and, before long, science fiction. With classics such as The Horror Of Ward 13 (1953) and The Silent Planet (1955), Mallet’s position in the cinematic landscape of the UK became assured. Producing a steady stream of features, Mallet’s seemingly unstoppable reign finally ground a halt in the 1970’s as they turned to more mainstream – and some would say blander – monster fare. 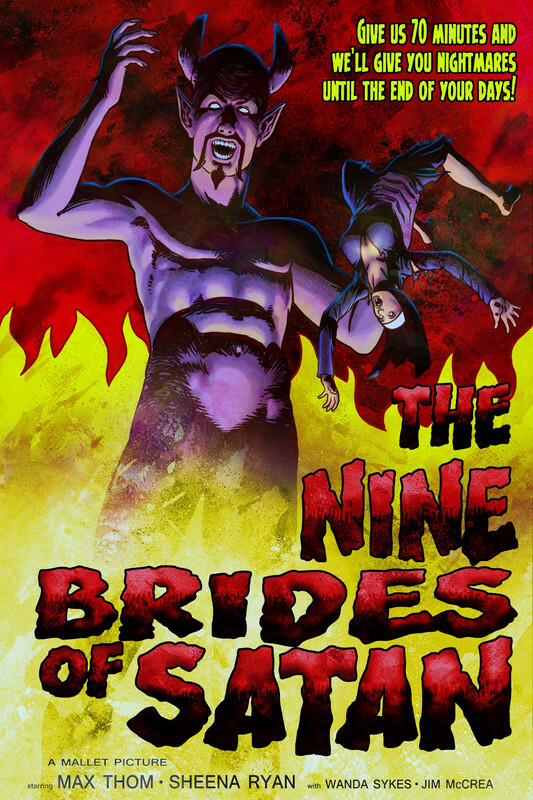 Although they still produced such classics as 1971’s The Nine Brides Of Satan, a series of lukewarm receptions at the box office saw the studio left on precarious financial footing, until the ill-fated production The Mummy Takes Manhattan and its numerous problems forced Mallet to close its doors for good. During their 70’s heyday, however, came the cult television series Mansion Of Madness, an anthology show that’s fondly remembered by many. Although only five of the six episodes were ever aired (ITV refused to show the final episode after a record number of complaints from upset viewers over the infamous The Devil’s Run), the series did give way to a short lived horror comic of the same name. Only three issues ever saw print, but their impact on a generation of up and coming creators was profound, with many crediting it as a major influence on their decision to pursue a career in making comics. Now, Mansion Of Madness is set to spearhead a new revival of Mallet Productions, with this, updated edition featuring six stories by some of the finest creators working in – and out – of comics today that are the perfect scary read as the end of the year creeps even closer. Ultimately, myself and Dan Hill have curated this collection with one thing in mind: to have a new generation of readers experience the same thrills and chills the original fans did. All stories are lettered by Bolt-01. Rounding out the collection is an exclusive extract from the soon to be released book about the history of Mallet’s ill-fated soujourn into publishing, Waiting For The Resurrection by noted comics scholar Colin Smith. Andi Ewington was kind enough to restore one of the original promo posters for the Mansion Of Madness TV show (see the image at the top of the post) and we were lucky enough to get some of the original Malllet movie posters from the estate of the late Carlo Ferigno, which haven’t been seen by the public in over forty years! 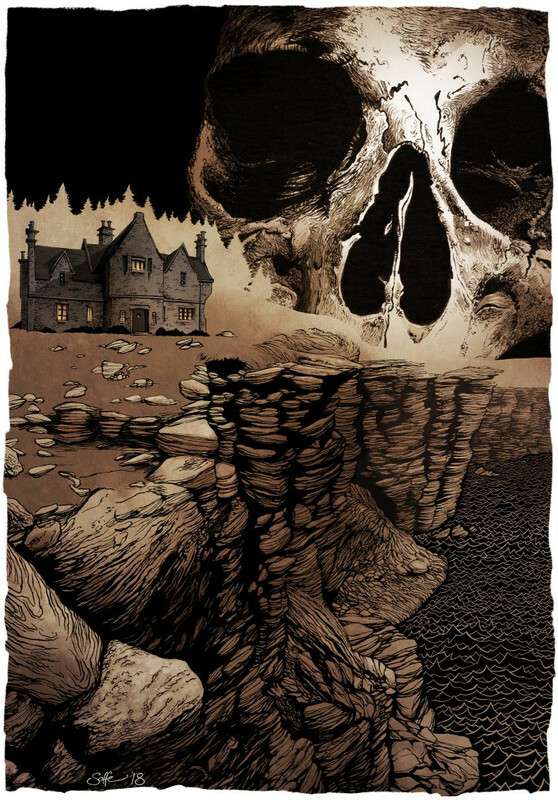 Mansion Of Madness is available from Comixology now, priced a mere $3.99. So, dear reader, dare you enter the Mansion Of Madness…?